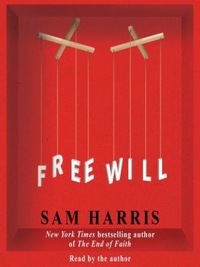 Sam Harris wrote a book called Free Will (2012). He argues that freewill is an illusion. A remarkable thought, by Zeus. Harris explains that because our choices are made for us by processes in our brain, we are not free. He asks: "Did I consciously choose coffee over tea? No. The choice was made for me by events in my brain that I, as the conscious witness of my thoughts and actions, could not inspect or influence." I know that Harris is wise and is surely consistent in his thoughts. That’s why I am confused about this quote. In his artful writing, Harris has generated something of a contradiction. In suggesting that choices were made for him by his brain, he seems to view his "self”, or perhaps more accurately, his mind, as something other than the brain. He is not free because all his decisions are made by something other than himself—his brain. But Harris certainly does not appear to think the self and the brain are separate in his other writing. Shall we attempt to reword his quote? I do not pretend to be as wise as Harris, so I must beg his forgiveness in my presumption that I can help. But let us reword his quote to align it with his view that the self is the brain, or perhaps more precisely, brain activity. So we will replace the terms “I” and “conscious withness” with “my brain”. The new quote reads: “Did my brain choose coffee over tea? No. The choice was made for my brain by events in my brain that my brain could not inspect or influence.” Worded this way, the problem of free will appears to vanish. Being unaccustomed to thinking of the mind and brain as the same thing, I may well be misguided in my argument. Nevertheless, I hope my humble thoughts have helped identify a contradiction in Sam Harris’s position. Happiness at the shopping mall?